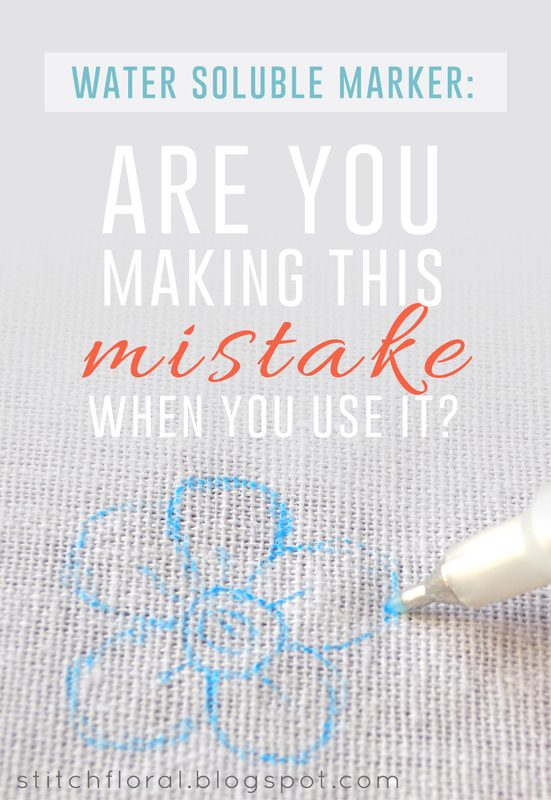 Water-soluble fabric marker: are you making this mistake when you use it? 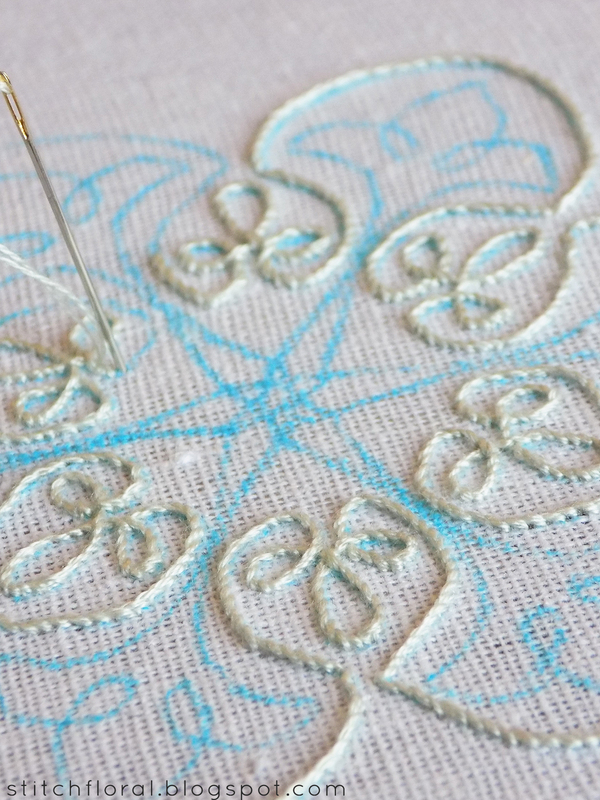 I think the issue of transferring patterns and designs to fabric is one of the most important ones that have to be addressed time after time, no matter how seasoned the stitcher is. 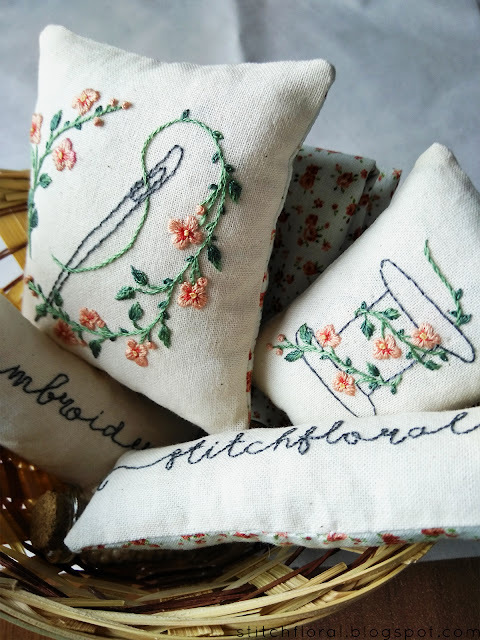 Because a successful/not so successful/disastrous transferring will inevitably influence the final result of your embroidery. And none of us wants our efforts to go to waste, right? So, today I'd like to speak about one of the most popular choices for transferring embroidery designs to the fabric: water-soluble markers. These pens have appeared on the market a long time ago and have since earned love of many stitchers and hate of many other stitchers. I belong to the first group, but I also understand the frustration that the second group has gone through – because I, myself, had sad experiences with washable markers. But now I know that the problem was not in the marker itself, but in my wrong way of using it! In this post I'm going to share my mistake, tell you how I came to realize it and how to fix it. 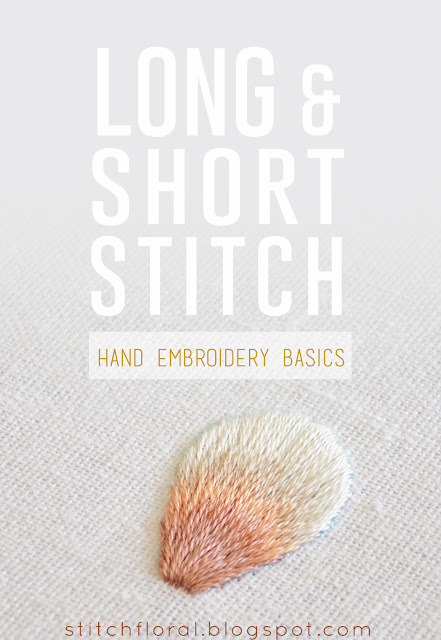 How to start thread when a knot and anchoring stitches are not an option? It's Wednesday and it means that we will speak about a new stitch today! Last week we took a look at satin stitch basics which can be worked with or without an outlining. 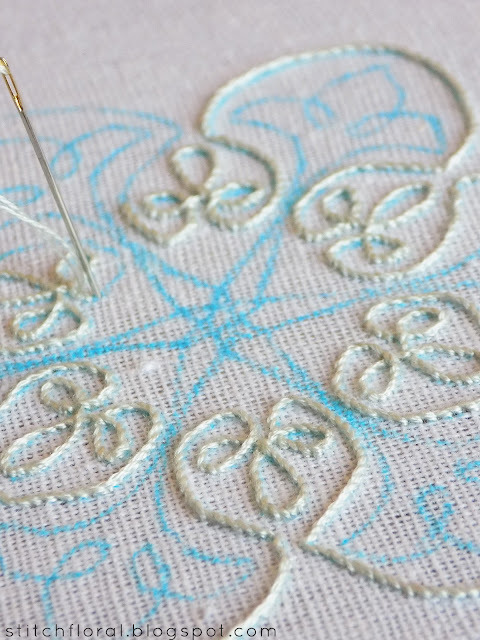 A very handy stitch, great for filling in all sorts of shapes and sometimes can be used exclusively to work whole designs. 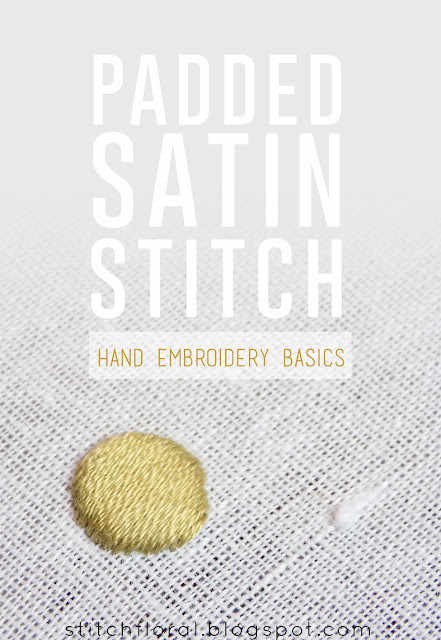 Today we will speak about its “upgraded” version – padded satin stitch. Nowadays, as I noticed, the most popular line stitch is the back stitch. 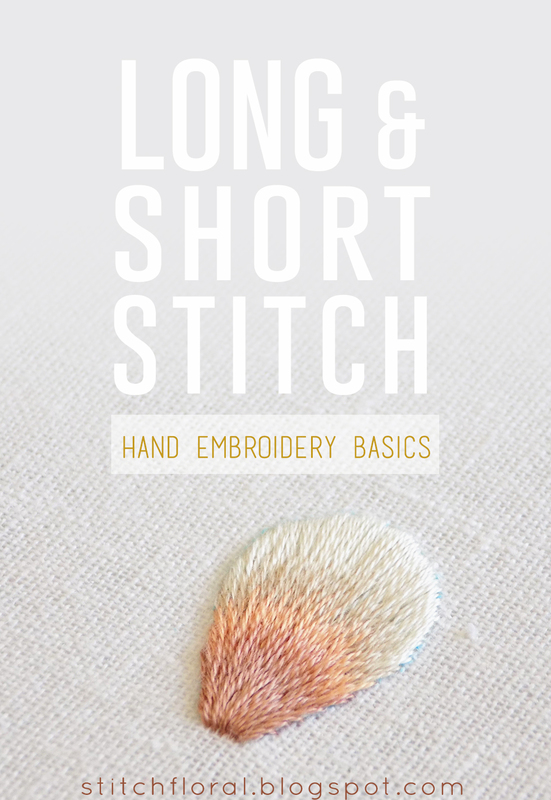 Which is wonderful, because this stitch is very handy and easy to “tame”. 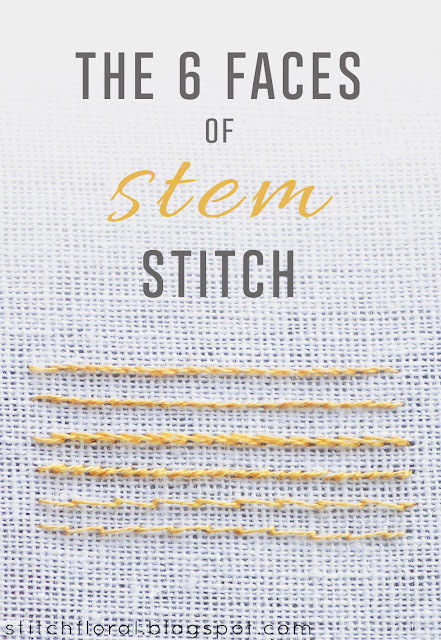 But as for me, my all-time favorite line stitch is the stem stitch. I just like how it looks, like the type of lines it draws and one more thing that I appreciate in it – its versatile appearance. 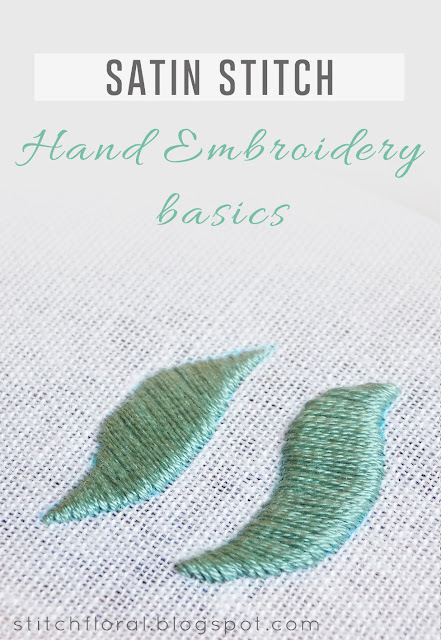 Today's stitch I consider one of the basics of hand embroidery, as it is the most common one that is used for filling the shapes: satin stitch. It has it's difficulties and peculiarities and achieving the “perfect” smooth look might be tricky. But after a bit of practice, I believe it will surrender to anyone!